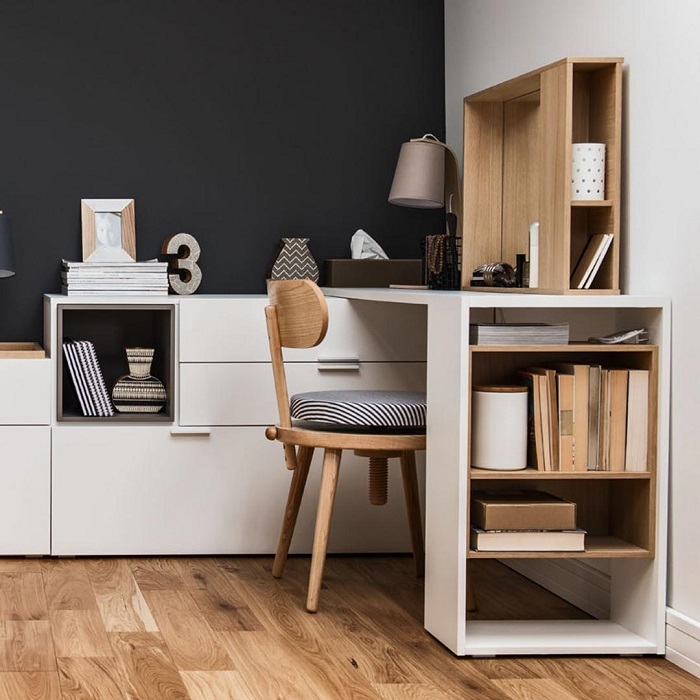 The 4You Dressing Table/Desk & Chest of Drawers – White is a universal combo unit that functions as an all-in-one workspace, dressing table and chest of drawers. 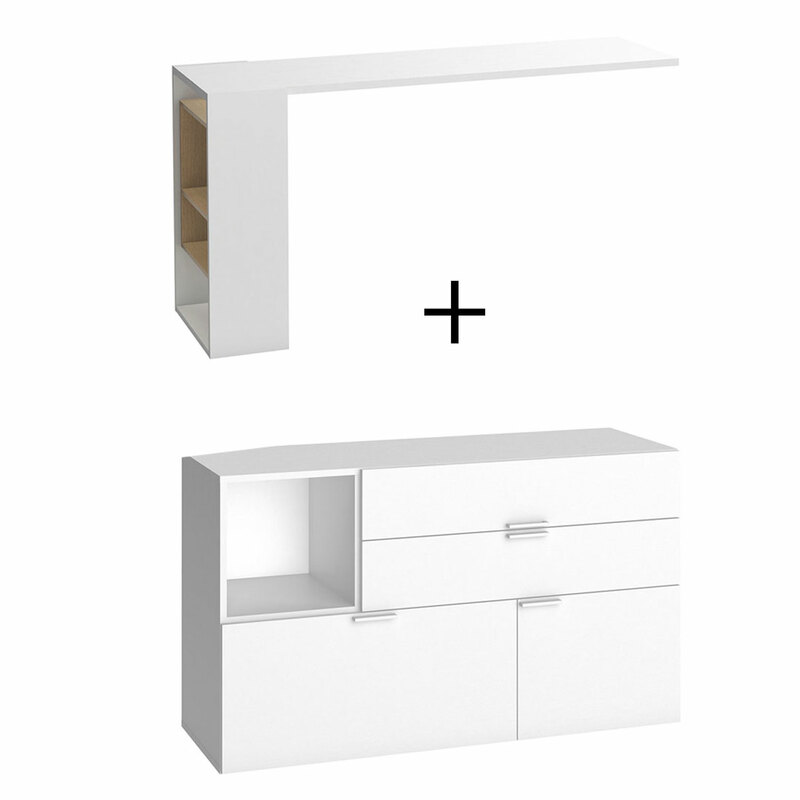 The 4You Dressing Table/Desk & Chest of Drawers can be arranged as corner unit or side by side against a wall. The white chest of drawers has three spacious drawers on high quality slide rails which means they will open easily even when heavily loaded. The open cube shelf can display decorative items such as books and collectables, and the other cube is closed by a little door equipped with a silent closing system. The 4You Dressing Table in white completes this brilliant combo piece. It fits perfectly on top of the unit and can be slid in and out as the need arises. The chest of drawer’s functionality can be further enhanced by adding the 4You Chests (available separately) for neat and aesthetically pleasing storage solutions. The Chests are available in a large (31.5cm x 31.5cm x 41cm) or small size (16cm x 31.5cm x 41cm), as well as the choice of the 4You range’s complementary colours of Teal, Charcoal, Grey, White and Oak.